Technological innovation has become the driving force of most modern industries. In fact, a large portion of the population cannot remember what life was like without the aid of technology. Those who grew up without technology probably appreciate these advancements even more because they understand how far we’ve come. The healthcare industry, in particular, has seen significant improvement due to new technologies. 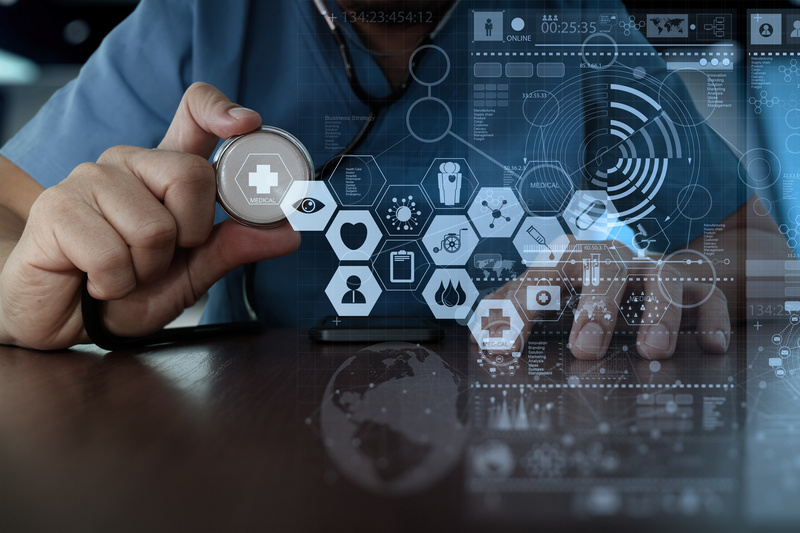 From Telehealth services to online databases, the benefits of technology in healthcare continue to improve the lives of professionals and patients alike. Medical technology gives doctors and nurses the power to save more lives than ever before. Here is our list of the top four benefits of technology in healthcare. One of the greatest benefits of technology in healthcare is the creation and improvement of treatments, medications, and machines. Developments such as real-time location systems (RTLS) and point-of-care technology (POC) help hospitals run more efficiently, and they are constantly being updated and improved. This efficiency gained from new electronics increases patient satisfaction because better care is being received at a faster pace. Advancements in communication technology have impacted the world of healthcare in many ways. Any productive workplace requires good communication, but it is especially important in healthcare. Improved communication systems have replaced pagers, allowing teams to send text messages, speak, and even receive patient alerts through their smartphones. Many healthcare facilities are also using social media platforms to engage with larger audiences. Social media sites can create a dialogue between providers and patients through public awareness campaigns, and some sites even give the option of instant chatting with doctors and nurses. The modern computer has certainly come a long way since its creation. Tech companies have managed to improve screen resolution and processing speeds, all while making their products smaller and smaller. Never before has so much information been at our fingertips, and this ease of access could not be more helpful to healthcare workers. Instead of being filed and stored in separate locations, Electronic Medical Records (EMRs) allow for all patient records to be accessed virtually. EMRs contain anything from patient histories to test results. Retrieving these files virtually saves time so that care plans can be developed and enacted quickly. In addition to EMRs, numerous mobile applications have been created which allow medical staff to access reference tools instantly through their cellphones. Video conferencing and other telehealth services are becoming increasingly more popular as time goes on. These services are a cost-effective way to enhance patient experiences, especially for those who live further away from care facilities. If someone cannot make it to a face-to-face appointment, they can still contact their doctor easily through their computer or their smartphone. These same technologies also connect doctors and nurses with their colleagues in different areas of the world through Teleconsultation. The ability to contact other professionals and seek their advice is especially helpful for travel physicians. A notable example of successful Telehealth took place during the aftermath of the 2010 earthquake in Haiti. The virtual connections made through Telehealth resources helped saved the lives of many people affected by the earthquake. Technology continues to change the healthcare industry for the better by improving the lives of both patients and providers. As the computerization of our world continues, it becomes harder to imagine what life would be like without the use of technology. What do you think of the benefits of technology in healthcare that we listed? As a physician, how has technology made your job easier? Let us know in the comment section below! Are you looking for a new locum assignment? Apply today!